First responders around the country are adding the Check HealthCare Blanket Warmer to their equipment list for use on trauma victims, especially those suffering from hypothermia. When plugged into the vehicle’s 12v power outlet through a supplied 6’ power cord, the Blanket Warmer will keep blankets at a consistent temperature indefinitely—always ready for an emergency! The power cord has quick release connector so the blanket warmer is portable right on scene, keeping blankets warm until ready for use. First responders no longer have to worry about pumping room temperature liquids into trauma victims. 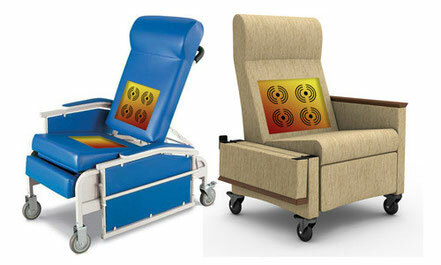 Using the very same resistive wire technology as in the Blanket Warmer, Check HealthCare is developing an I.V. 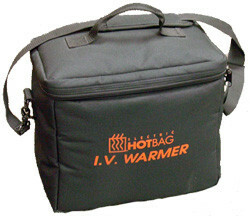 Warmer Bag at the request of many customers. IV WarmerMany available alternatives such as warming cabinets are cumbersome, inconvenient, inefficient, ineffective, and very expensive. Our I.V. Warmer Bag is one of a kind! Holding as many as four (4) 1000ml IV bags at a continuous temperature, we believe the Electric HOTBAG I.V. Warmer will add great benefits to any operation.